Dobie received his own title from DC Comics in 1960, six months after the show debuted. 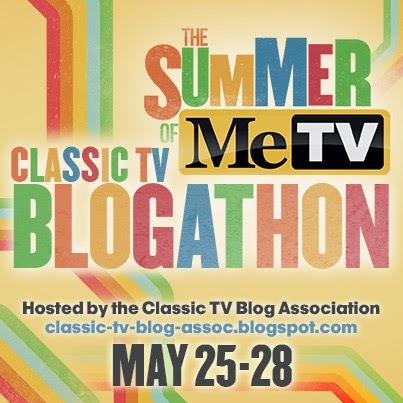 Written by DC's hippest writer, Arnold Drake, and illustrated by their best caricaturist, Bob Oksner, the mag reflected the mindset and attitude of the tv series pretty closely. But, perhaps for licensing reasons, only Dobie, Maynard, Dobie's parents, and original girlfriend Thalia (played by Tuesday Weld) appeared in the comics! None of the colorful supporting cast from the series! Running for 26 issues (and outlasting the show by almost a year), you'd think the comics would go the way of most tv/movie comic adaptations and disappear from sight, never to be seen again. 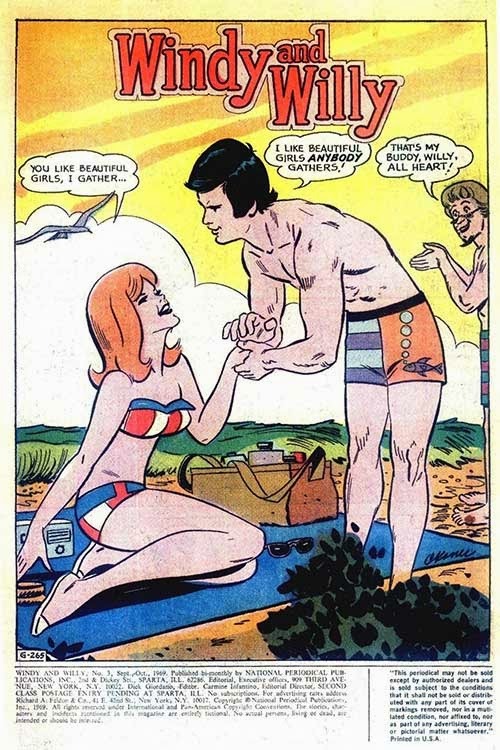 Five years later, DC wanted to go head-to-head with Archie Comics with teen-themed titles and felt the Dobie stories could work if they were "updated" with current hairstyles and fashions. The idea had proven successful with romance comics, where they (and Marvel, and other companies) had been doing that to fill out the books with a new story up front with older (and cheaper, since they weren't paying reprint fees) stories in back as shown HERE! 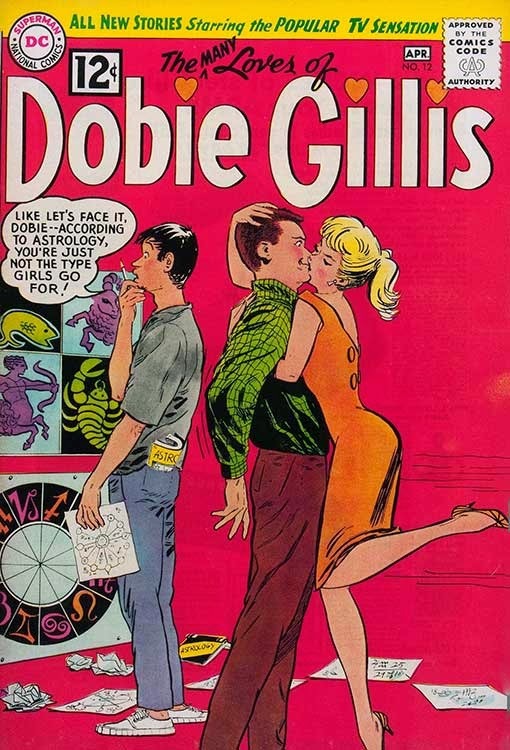 But, DC had let the license for the Dobie Gillis characters expire since the show was cancelled. Since they were modifying the art anyway, the editors just renamed the characters! 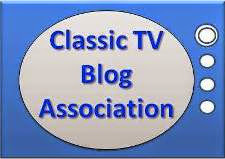 In addition, "beatniks" became "hippies", and other cultural references were also updated. 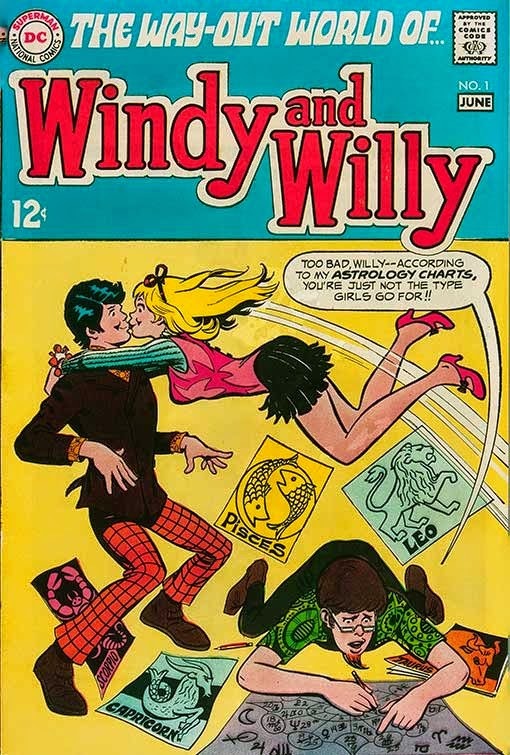 With new covers based on the earlier cover jokes (like the Dobie original and Windy re-do covers above), DC launched Windy and Willy in their own book. Note: "Windy" is the revised Maynard, so he finally gets top billing over Dobie aka Willy! Despite the economical updating, Windy and Willy lasted only four issues. 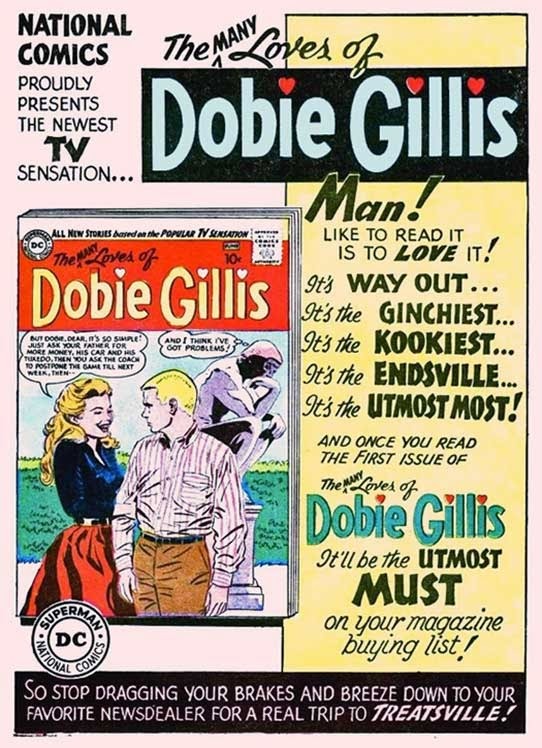 You'd think that would have been the last attempt to recycle the Dobie Gillis concept. Hoo boy, would you be wrong! Tomorrow, see how Dobie and his friends were reincarnated into one of the most successful pop culture franchises in history! Think DC wasn't interested in some of Dobie's supporting characters, who wouldn't have transferred well to the comic. Better to keep the focus on the "Many loves".